Established in 1977, Sea Shepherd Conservation Society (SSCS) is an international non-profit, marine wildlife conservation organization. Its mission is to end the destruction of habitat and slaughter of wildlife in the world’s oceans in order to conserve and protect ecosystems and species. Sea Shepherd uses innovative direct-action tactics to investigate, document, and take action when necessary to expose and confront illegal activities on the high seas. By safeguarding the biodiversity of our delicately balanced ocean ecosystems, Sea Shepherd works to ensure their survival for future generations. Sea Shepherd Conservation Society was formally incorporated in the United States in 1981 in the state of Oregon. 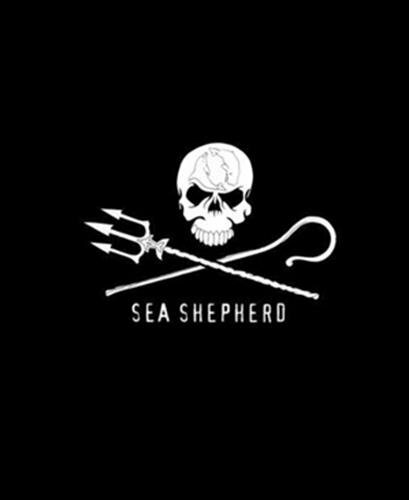 Previous to this, the idea of Sea Shepherd was formed when Captain Paul Watson founded the Earth Force Society in 1977 in Vancouver BC, Canada. The original mandate of both organizations was marine mammal protection and conservation with an immediate goal of shutting down illegal whaling and sealing operations, but Sea Shepherd later expanded its mission to include all marine wildlife. In 1978, with financial support from Cleveland Amory of the Fund for Animals, the Society purchased its first ship (a British sea trawler Westella) and renamed it the Sea Shepherd. Its first mission was to sail to the ice floes of Eastern Canada to interfere with the annual killing of baby harp seals known as whitecoats. In the same year, the Sea Shepherd hunted down and rammed the notorious prolific pirate whaler the Sierra in a Portugal harbor ending its infamous career as the scourge of the seas. Since those early days, Sea Shepherd has embarked on over 200 voyages covering many of the world’s oceans and defending and saving defenseless marine life all along the way. This is its story.